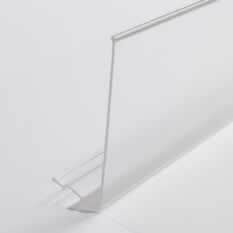 Extruded plastic profiles are shaped thermoplastic products that can be manufactured in a wide range of configurations. They are made from a variety of thermoplastic materials, depending on the application needs. Thermoplastics are recyclable and offer a large number of beneficial properties including chemical resistance, dimensional stability, and impact resistance. 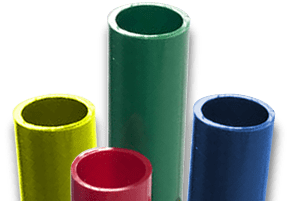 Crescent Plastics manufactures extruded profiles in a wide assortment of both commodity and engineering thermoplastic materials to meet your needs. We work with you to provide the most cost-effective and functional design for your plastic extruded products. Though they may seem similar, thermosetting plastic and thermoplastics are different in both characteristics and applications. Thermoset plastics contain polymers that cross-link together during the curing process to form an irreversible chemical bond. This means that the plastic product can never be remelted. Thermoset plastics are primarily used for high-heat applications like electronics and appliances. Thermoplastics, on the other hand, can be reheated and remolded over and over without negatively affecting the material’s physical properties, giving them a recyclable advantage. This is because no chemical bonding takes place during the heating process. Thermoplastics are used for a wide variety of applications, everything from plastic bumpers to custom pipe. Commodity thermoplastics are primarily used for mass-produced goods in a wide variety of industries and applications. They are often inexpensive and easy-to-process materials that are used for everyday, usually disposable goods. Commodity thermoplastics are made from common resins that are not engineered for extreme conditions or heavy-duty applications. Engineering thermoplastics are used for specialized applications that require more heavy-duty materials. They are a high-performance thermoplastic resin that is a blended material designed to exhibit enhanced characteristics. They are designed to be resistant to high temperatures, wear, and corrosives, and can be used as a replacement for wood or metal. We are proficient at extruding most all thermoplastic materials and have extensive experience with acrylic extrusion, ABS extrusion and many other materials in plastic extruded profiles. 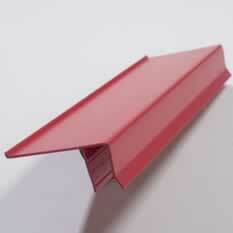 Regardless of what plastic material you need, we can provide a custom profile in the thermoplastic of your choice. Additionally, we can combine two different materials, or colors, into a co-extrusion if your application requires this process. We would welcome an opportunity to quote your needs. Contact us today to get started on selecting the materials for your plastic extruded profiles.